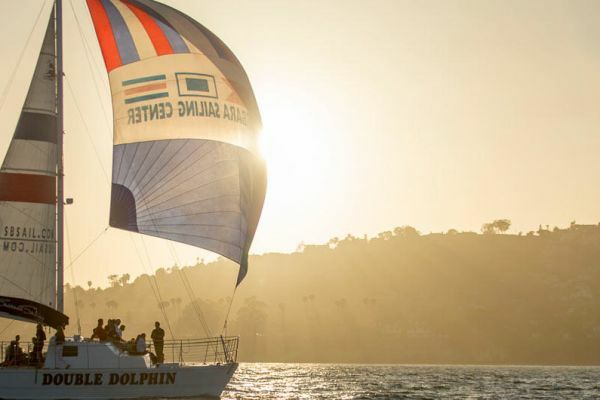 Take to the sea aboard the Double Dolphin, a 50-foot catamaran, for an unforgettable sunset sail off the coast of Santa Barbara, courtesy of the Santa Barbara Sailing Center. Catch sight of sea lions, dolphins, and whales as they cruise the shimmering waters. Watch birds soar overheard while the sky turns ablaze with the setting sun. The ship's crew will swap stories of Santa Barbara's fascinating history and point out celebrated homes dotting the coastline like a string of jewels. The Seashore Cruise and Soother Package includes a sunset cruise for two, accommodations for two, and a bottle of chardonnay from Santa Barbara Winery in a commemorative wine jute tote. Only one Santa Barbara hotel deal can truly capture the magnificence of a day on the water in one of California's most classic locales. Choose the Seashore Cruise and Soother package, and soak in the beauty.